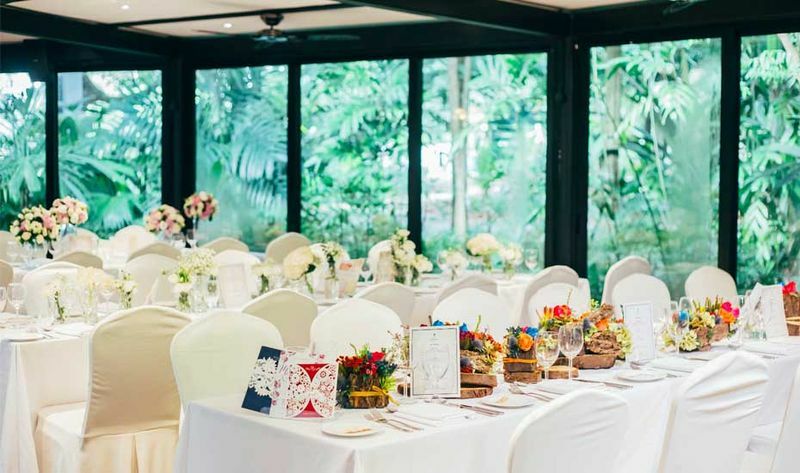 In a bid to remain accessible and inclusive for all, The Villa’s new and customisable wedding packages are elevated to cater to couples of all races and from all walks of life. The packages, featuring a wide range of upgrades and value-added services, will be presented at another edition of An Enchanted Wedding Showcase, an event back by popular demand. Couples will be inspired by the lush surroundings of The Villa which will be adorned in different themes. They can also get to discover new wedding ideas by over 10 renowned wedding vendors during the showcase while indulging in a delectable spread catered by The Halia and engage in complimentary activities such as bridal talks, bespoke cocktail-making, photo-booth, express manicures and more! For those who sign up for wedding packages at The Villa during the showcase will also stand to enjoy cash rebates (over $2000) and stand to win attractive prizes at the lucky draw.